We are very much looking forward to have Björn Sterzenbach as our new Master of Ceremony at vokal.total.2018! He is originally from Berlin but he fell in love with our festival 15 years ago, as he says himself. 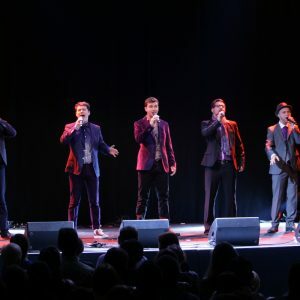 He is certainly no stranger in the A Cappella Scene and has a lot of expertise in the A Cappella World. With his charm and humour will he lead through the week and warmly welcome our international participants on the stage. Our guests from the USA, Taiwan, Israel, Japan, Italy, Germany,… promise an exciting competition all over again this year! And oh! Did you already book your tickets? As of now you can reserve them here! 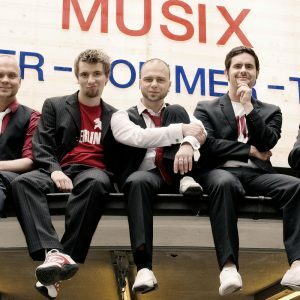 Four times is the total amount he participated himself with his former Band muSix (GER) – three vokal.total.diploma in SILVER and GOLD additionally one Ward Swingle Award in GOLD in 2009 in the Category Comedy. Two times he joined us in the audience. 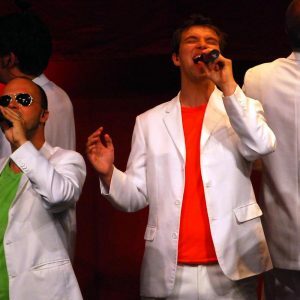 He found his passion for A Cappella Music when he was just 15 years old, when he formed his first mixed Quartett. Yet after his Abitur (graduation from high school) he decided studying to become a teacher without including music. Maybe this was one of the reasons why he quit university after five years without a degree and then completely focussed on A Cappella Music. By now Björn has performed in more then 1000 concerts with various bands. Three years with Rock4 (NED) – Ward Swingle Award Winners at vokal.total.2003 in the Category Pop. 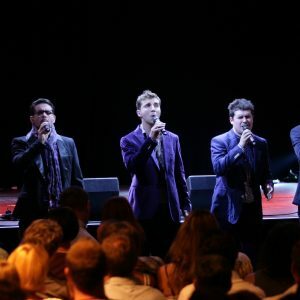 He was the last Bass with Europes most successful A Cappella band Wise Guys (GER), who split up in summer 2017. 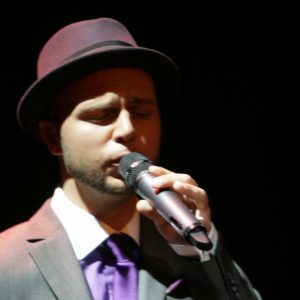 Since then Björn became a member of the follow-up Band Alte Bekannte (GER) – with an approximate total of 120 concerts in German speaking countries. 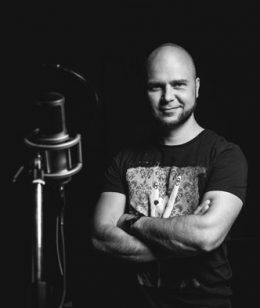 The outspoken Kernöl-Afficionado (prerequisite for employment at vokal.total) has completed a training “on the side” to become a presenter, radio host and voice-over artist. 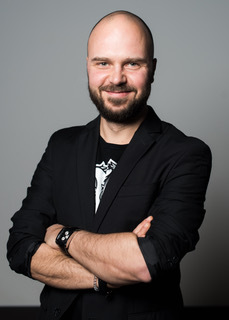 For two years he has worked as a news anchor at private radio stations (Radio Dresden and RTL Sachsen). And now – as first German ever – will he host vokal.total.2018 and we are very excited about that!